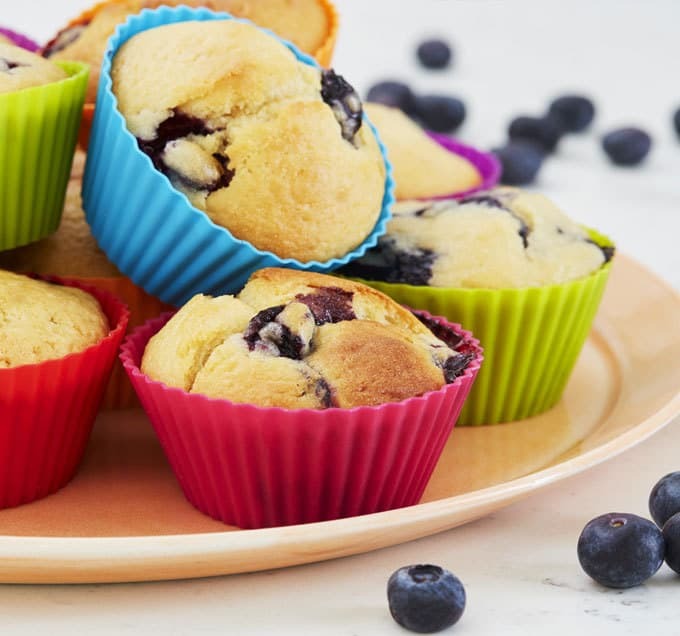 Blueberry muffins made with Optiwell yoghurt drink, for a deliciously tasty treat. I can’t quite believe it. My little babies are starting school. I know, it’s a bit old fuss over what is, essentially, just something we all do. It really does mark a moment in their growing up though. For me, it will also mean a big change in our routines. I’ll have time to work more, but I will definitely need to get us more organised. Why am I always flying out of the door in a panic and a flap even when we started the day right on track?! This is it. Over the summer, operation organisation is going to commence. Apart from labeling about a thousand pieces of school uniform, I will also be stocking up the freezer ready for the tired first days of school in September. Hopefully that will help to give me a bit more precious time with my little ones when they get home each afternoon. I’m planning on winter warmer dinners and also snacks for school hometime. It’s already so easy to turn to a pack of biscuits when we are all tired and flagging at 3pm. That’s where these muffins come in. I’m going to bake a couple of batches to keep in the freezer and take some out before school pick up ready to beat the afternoon slump. Supermum title here we come! If only I could find a matching pair of socks for everyone.. 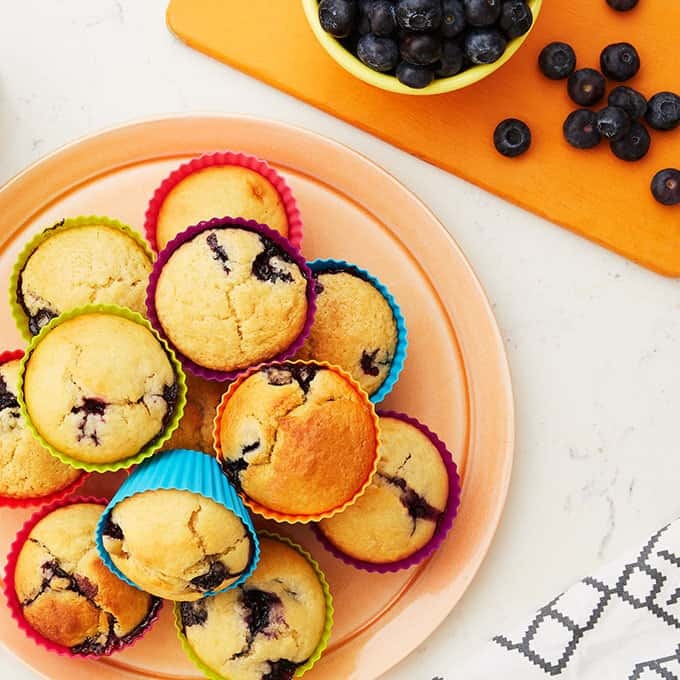 These blueberry muffins are made with Optiwell, which gives them a super texture and a touch of added protein to keep us all full until dinner time. These would also made a delicious mid morning treat. Preheat the oven to 180C and grease silicone muffin cases with a little oil. In a bowl, mix the flour, caster sugar and blueberries and make a well in the centre. Spoon into silicone muffin cases and bake for 18 – 20 minutes until risen and golden. What’s your favourite afternoon pick me up food? If you’re a school parent, any tips for staying organised?! 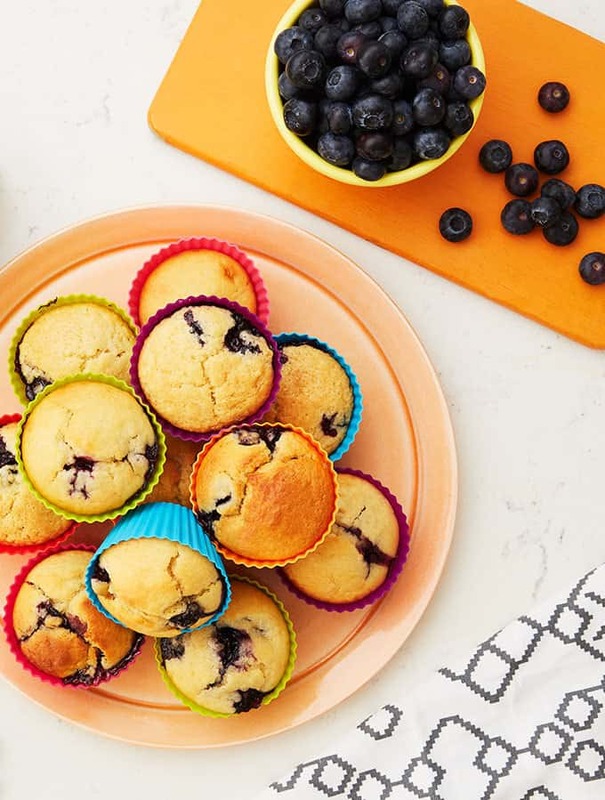 Pin the Blueberry Muffin recipe for later..